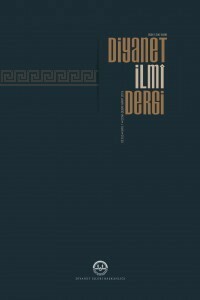 This study is confined to delin- eating some religious reasons behind Muslims transforming from being the subject of deter- mining and building the world history into an object as of the 20th century, with reference to the works of our Poet of Indepen- dence, Mehmet Akif Ersoy, who had the intellectual accumulation of his time and witnessed the disappearance of the Ottoman Empire from the stage of history at the beginning of the 20th century. Accordingly, a number of religious reasons, from Akif’s point of view, are identified that caused Muslims, who had actively played the leading-role in forming the world history for centuries, to turn into an object that is subject to plans made on them from all around the world, in particular the Middle East. As a result of this research, ac- cording to Safahat that is Akif’s work where he has compiled his poems, it is seen that Muslims were accustomed to laziness, hopelessness, emotionlessness, corruption, ignorance, discord, and nationalism, and that he com- plained about those as the cause of loss of power. In addition, it is also seen that Muslims remained behind due to a misconception of qadar, a conception of tawakkul distanced from its true purpose, a narration of religion-teaching full of superstitions, presentation of fabricated stories as hadiths without putting them through a scientific methodology, leading to laziness by constantly impos- ing that this world is temporary, thereby falling far behind reach- ing the true goal of the religion. One of the primary goals of this study is to offer a number of solutions, in accordance with the national poet’s thoughts, to the problems that Muslims face to- day. In this study, the poet’s own works are scrutinized as primary references, and the sources that quote his thoughts as secondary references. Babacan, Mahmut, “Burdur Milletvekili Mehmet Akif’e Göre Eğitim ve Kalkınma”, Uluslararası Mehmet Akif Ersoy Milli Birlik ve Bütünlük Sem- pozyumu 3, İstanbul Sabahattin Zaim Üniversitesi Yayınları, İstanbul 2011, ss. 455-465. Bayyiğit, Mehmet, “Mehmet Akif’te Din ve Toplum Sorunu”, Selçuk Üniversitesi İlahiyat Fakültesi Dergisi, Konya 1999, sy. 8, ss. 53-68. Bodur, Hüsnü Ezber, “Akif’e Dini Sosyolojik Bir Bakış”, Atatürk Üni- versitesi İlahiyat Fakültesi Dergisi, Erzurum 1997, sy. 13, ss. 21-29. Cemal, Mithat, Mehmet Akif, Türkiye İş Bankası Kültür Yay., Ankara 1990. Doğan, Cem, “II. Meşrutiyet’te Tartışılan Fikir Akımları ve Mehmet Akif Ersoy’un İslâmcılığa İlişkin Görüşleri Üzerine Genel Bir Değerlen- dirme”, Uluslararası Mehmet Akif Ersoy Milli Birlik ve Bütünlük Sempoz- yumu, İstanbul Sabahattin Zaim Üniversitesi Yayınları, İstanbul 2011. Düzdağ, M. Ertuğrul, Mehmet Akif Ersoy, Kapı Yayınları, İstanbul 2013. Ersoy, Mehmet Akif, Düzyazılar, Makaleler, Tefsirler, Vaazlar, Haz. Abdulvahap Akbaş, Beyan Yayınları, İstanbul 2010. -------, Mehmet Akif, Safahat, İnkılâp Kitapevi Kenan Matbaası, İstanbul 1944. Kabaklı, Ahmet, Mehmet Akif, Türk Edebiyatı Vakfı Yay., İstanbul 1984. Karakoç, Sezai, Mehmed Akif, Diriliş Yayınları, İstanbul 2007. Kılıç, Ahmet Faruk, Milli Yürek Mehmet Akif Ersoy’un Din ve Toplum Anlayışı, Değişim Yayınları, İstanbul 2008. Meşe, İlknur, “Modernleşme Sürecinde Türk Siyasal Kimliklerinde Mu- hafazakâr ve Yenilikçi Tavırlar”, Muhafazakâr Düşünce, Ankara 2006, Yıl. 2, sy. 9-10, ss. 125- 147. Okay- Düzdağ, M. Orhan -M. Ertuğrul, “Mehmet Akif Ersoy”, TDV İs- lâm Ansiklopedisi, Türkiye Diyanet Vakfı Yay., Ankara 2003, c. XXIIX, ss. 432-439. Öz, Satılmış, “Mehmet Akif Ersoy’da Geri Kalmışlık ve Kalkınma Problemi (Safahat Örneği)”, Harran Üniversitesi İlahiyat Fakültesi Dergi- si, Yıl: 18, sy: 30, Temmuz-Aralık 2013, ss. 140-161. Tansel, Fevziye Abdullah, Mehmet Akif Ersoy (Hayatı ve Eserleri), Mehmet Akif Ersoy Fikir ve Sanat Vakfı Yay., Ankara 1991. Yıldırım, Ergün, “Toplumsal Gelişme Açısından Protestanlık ve İslâm”, Dumlupınar Üniversitesi Sosyal Bilimler Enstitüsü Sosyal Bilimler Dergi- si, 12 (2005), ss. 51-64. ISNAD ŞAŞA, MEHMET . "MEHMET AKİF’İN PERSPEKTİFİNDEN MÜSLÜMANLARIN GERİ KALMASININ DİNÎ SEBEPLERİ". Diyanet İlmî Dergi 54 / 1 (April 2018): 113-138.